Keybiotics are a form of probiotic supplement product that is sold within the digestive wellness, health and weight loss categories. 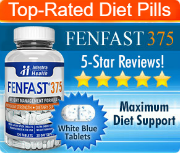 The claim on the official website is that this pill provides users with a “super-probiotic” supplement and that it helps the body to better digest food and therefore lose weight with greater efficiency. 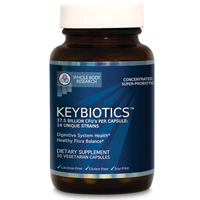 Every serving of Keybiotics gives the user 14 strains of “friendly” bacteria totaling about 37.5 billion individuals. According to the marketing page on the official site, this number of strains and bacteria places this product in the category of the most powerful probiotic supplements currently on the market. Even the design of the capsule itself has been carefully taken into account in order to ensure that the probiotic bacteria will be as beneficial to the user as possible. The capsule has been created to be able to make it through the stomach without being dissolved by the acids and bile there. This is important because poorly designed probiotic supplements risk dissolving in the stomach where the beneficial bacteria is killed off by stomach acids, negating possible benefits. However, the claim from the manufacturer is that this pill will make it all the way through the digestive tract without ever being killed off. It is unclear exactly where it breaks down as the description makes it sound as though the pill will withstand breaking down and therefore simply pass through the body and be excreted with the waste before the bacteria can be added to the digestive system. It is highly unlikely that this is what the manufacturer is implying. It appears as though the claim is that the capsule dissolves after it has made it through the stomach, at a time when the risk of a bacteria die off is lower. The official website says that the addition of high numbers of beneficial bacteria strains can help to balance the microbiome in the gut, including preventing the overgrowth of organisms such as Candida, which can be problematic when they are allowed to overgrow. Every bottle contains 30 capsules which are vegetarian friendly. The capsules are also both gluten and lactose free, which means that it is appropriate for people with a range of different dietary needs and/or restrictions. The 30 pill supply is enough to last for a full month as this is a daily pill. 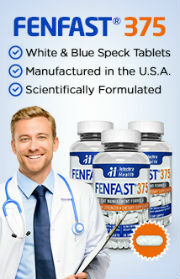 It is meant to be taken with food in order to ensure its best benefits.